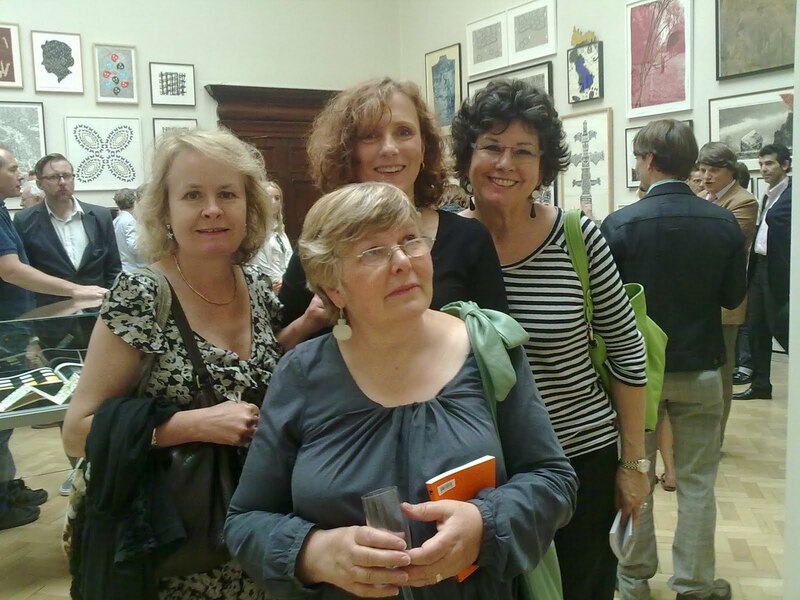 Here we are, a few of the hardworking but happy band of artists we call Half Moon Printmakers, enjoying a glass (or three) of champagne at the Royal Academy Summer Exhibition. Varnishing Day is traditionally a day set aside for selected artists to make last minute adjustments to their paintings before the show is open to the public. These days, of course, we just go to gawp and have a bit of fun…..
From the left, Karen Keogh, Sonia Rollo (front), myself and Susie Perring. 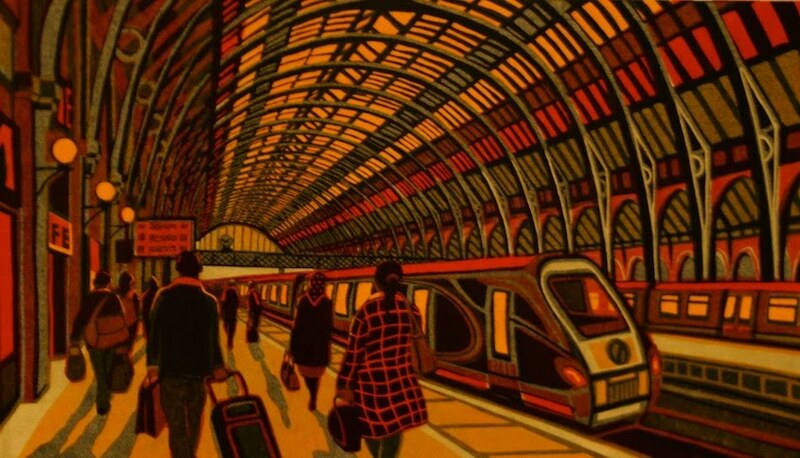 My linocut Exodus has been selected to hang at the RA Summer Show. 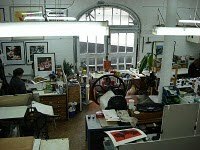 More photos to come – Varnishing Day is tomorrow….